The Boys in the Back Room at the Department of Secret Projects are always cooking up crazy new ideas. They came up with this “Superfade” finish some time back and there have only been one or two experimental drops of this coloration before. These start from a blue/purple/blurple at the base and fade all the way through the spectrum to something close to green at the muzzle. Some are more teal/blue at the muzzle, others are more yellow/green. Here’s another small experimental drop, on the Mk.I-B platform. As with all experimental Ray Guns, these are each unique and yours will be selected at random from this small experimental batch. As noted above, there is some color variation, so no two beads are the same, these are all unique. Note: The Mk.I-B Blunderbuss are standard Ray Gun Beads, and as such, do NOT have provisions for tritium vials. 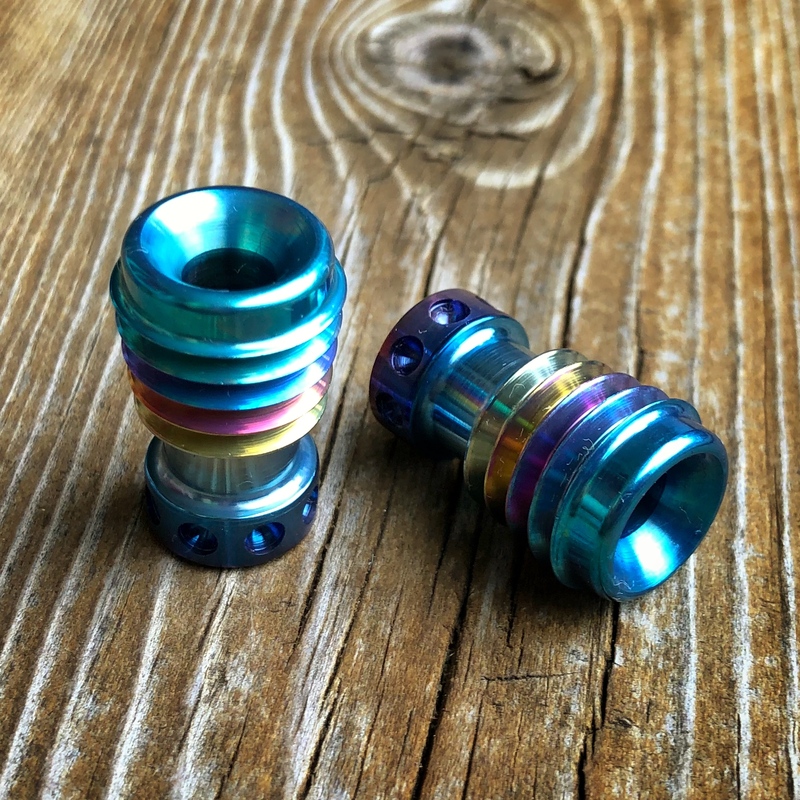 Mk.I-B Ray Guns in Superfade Titanium are $100 each, shipped to US addresses. US buyers can purchase using the PayPal “Buy Now” button below. Buyers outside the US can hit the PayPal button to purchase and then contact me for a USPS Priority shipping quote at mark@raygundivision.com – Typically this ends up being an additional $15-30 due to Priority International cost, depending on location. Please Note: Shipment outside the US via any method other than tracked Priority or Express is at the buyer’s risk.